Hampton Gel-Bar features eight translucent urethane colors. The strategically placed grips take all of the guesswork out of positioning your hands during your workout. Urethane grips easy to clean and does not collect bacteria the way other body bars do. Backed by the industry’s strongest five year commercial warranty, replacing group exercise products is a thing of the past. Excellent for group exercise class weight sets. 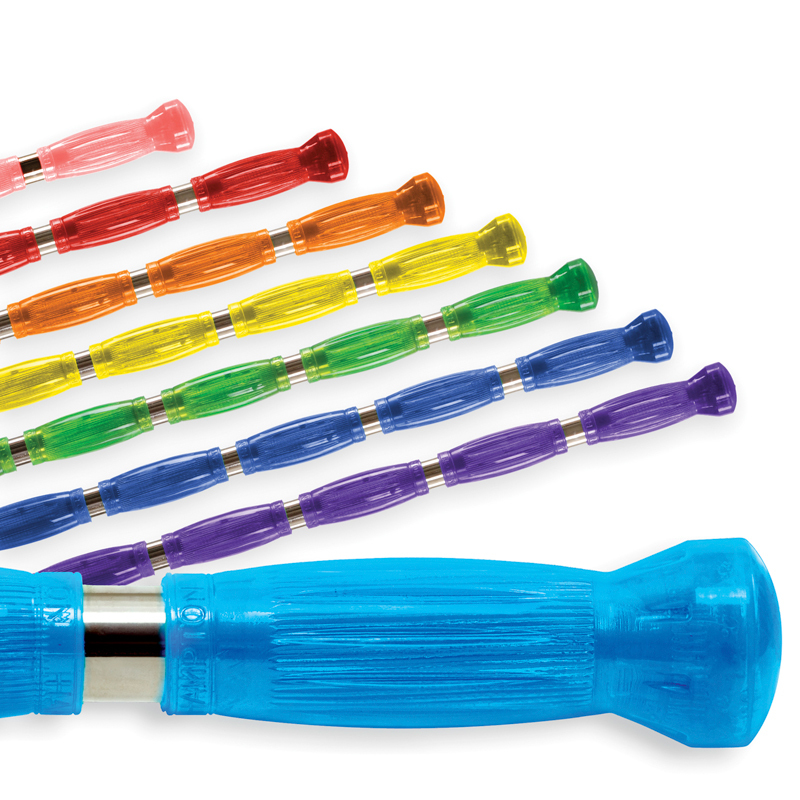 Urethane grips easy to clean and does not collect bacteria. Available in 5 lbs, 7.5 lbs, 10 lbs, 12.5 lbs, 15 lbs, 17.5 lbs, 20 lbs and 25 lbs. Backed by the industry’s strongest five year commercial warranty. For Commercial, Military, College, Home Gyms.